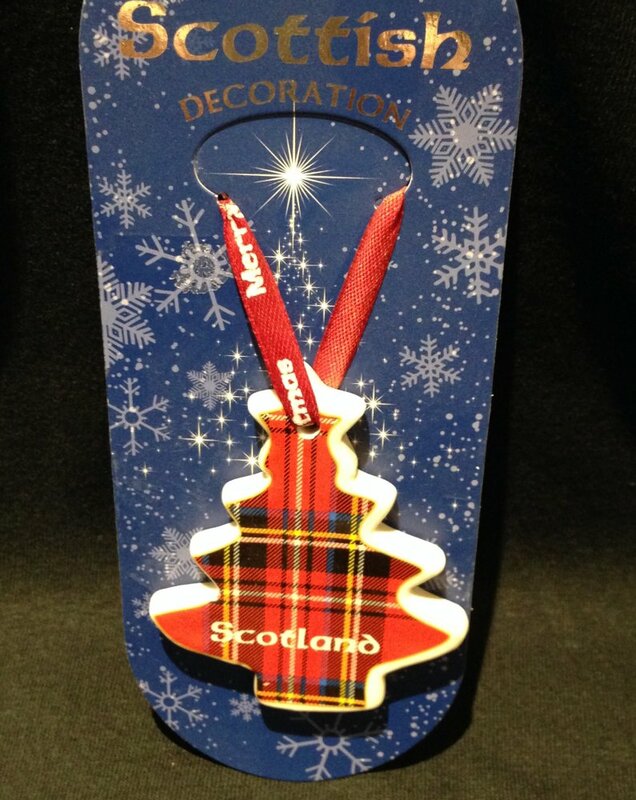 A ceramic Christmas decoration in tartan Christmas tree design. Red ribbon Merry Christmas loop. Design on one side only.